18+ New customers only. Bonus funds are valid for 3 days. Wager req: 35x. T&C's apply. Play responsibly. BeGambleAware. 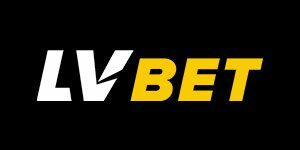 LVbet Casino will then reward you with a bonus (Welcome Bonus is for new players only). 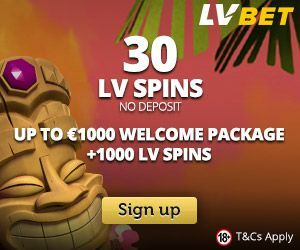 The terms and conditions of the bonuses vary between different casinos and might also change over time and between different countries, so it is important to compare the different offers and read the T&C for LVbet Casino before signing up. 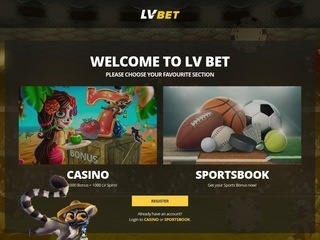 Established in 2016, LvBet Casino are one of the newest online casinos in the gaming industry. Even though they haven’t got years of experience behind them, they’ve done well to build such a glowing reputation. This is largely due to their stunning collection of games, but also because of their fresh, modern website that’s easy on the eye. The casino also has a license from the United Kingdom Gambling Commission – something that is always respected among gamers. With an attractive welcome bonus, and the ability to play games on your mobile device, it really is difficult not to love Lv Bet. Take a read of our review to find out more! If a casino wants to have a long stay in the gambling business, it’s important to have a good collaboration with top software providers. Thankfully, Lv Bet can offer games from some of the world’s best. These include BF Games, Bally Wulff, Greentube (Novmatic), Gamorat, Microgaming, Merkur, NetEnt, Play N Go, Evolution Gaming, Thunderkick, Wazdan, and UC8. There’s a healthy selection of titles provided by these companies, such as slots, table games, and jackpots. In total, there are over 700 games, and they can be searched manually, or by software provider, to make finding your favourite a little easier. It’s fair to say that Lv Bet is a casino designed firmly with slots in mind. In total, there are over 600 available and you won’t be disappointed with the variety on offer. Popular games include Book of Dead, Wild Wild West, Dead or Alive, and Immortal Romance. If you like the idea of becoming an instant millionaire, try checking out the Jackpots section. There are massive prize pools here and tons of fun to be had. Titles include Mega Moolah, Cosmic Fortune, and Divine Fortune. NetEnt and Microgaming provide the majority of slots and you can be sure these games are of stunning quality. Even though slots are the main focus of attention at Lv Bet, there are still many table games you can get your teeth stuck into. Roulette, blackjack, poker, punto banco, pontoon, and baccarat make up the library. 62 games can be found in total, and you can play on the tables from as little as 1p or as much as thousands of pounds. Some casinos like to include other games such as scratch cards or virtual sports into their collection. Unfortunately, Lv Bet do not have any of these titles. This isn’t a huge issue, however, as they already have over 700 games to choose from. One of the main problems of Lv Bet is their lack of live games. A lot of casinos incorporate this feature into their site as it is an integral part of their gaming experience. There’s no sign whatsoever of any games that are broadcast live via webcam. One title they do have is Dream Catcher but it’s hardly a substitute for a game of roulette. Hopefully this is something that the casino can rectify in the near future as it could deter some players from registering an account. Depositing and withdrawing money at Lv Bet is incredibly easy due to the sheer amount of options available. Deposit methods include Visa, Sofort, iDeal, Trustly, Neteller, Skrill, Paysafecard, Euteller, Zimpler, and Monetapay. Most of these methods are also available to withdraw money with the exception of a couple. It doesn’t cost anything to deposit funds into your account and the minimum limit is £10. The minimum you can withdraw is £20, while the maximum is £5,000. It will usually take around 3-5 working days for all withdrawals to appear in your account. Currencies that Lv Bet accept include EUR, SEK, USD, GBP, and PLN. For more information on this section, check out the Payments link which can be found on the home page. There are a number of ways that you can receive help should you ever run into trouble at Lv Bet. Live chat is the most useful as it allows you will get a fast response to any question you may have. However, you can also use the contact form on the website, or the telephone number provided. Agents are available between the hours of 07:00 and 22:00 every day and languages include English and Polish. Alternatively, there is a FAQ section which will probably assist you without having to speak to an agent. You can follow the casino on Twitter in order to keep up with the latest news and information. It will also be possible to directly message them from your account.